Mix first 7 ingredients and spread in the bottom of a greased 9×13 inch pan. Blend remaining ingredients and pour over bottom layer. Bake at 350 degrees for 35 minutes. 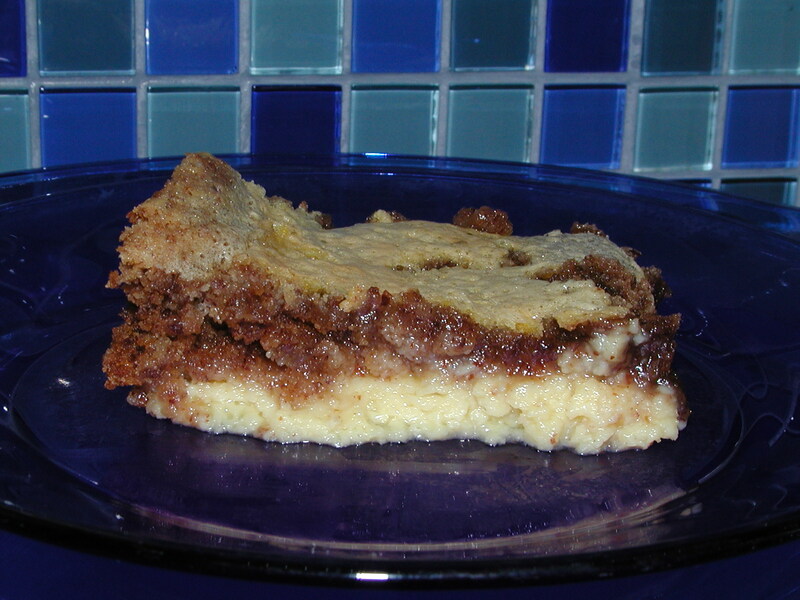 While baking, the crust rises to the top leaving the lemon layer on the bottom. Enjoy!